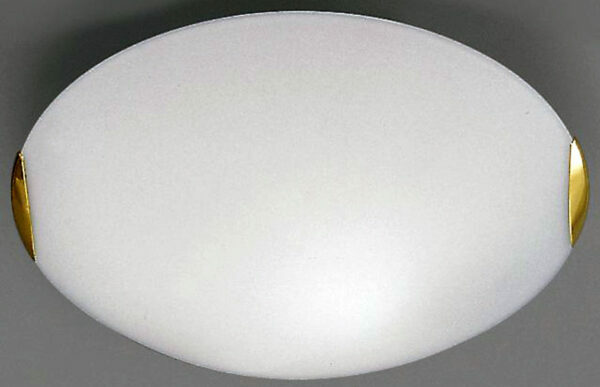 A medium sized understated ceiling light, with a domed opal glass central shade highlighted with two polished brass clasps. Perfect for any traditional room except bathrooms, hallway or landing. This fitting will accept two bright low energy lamps.